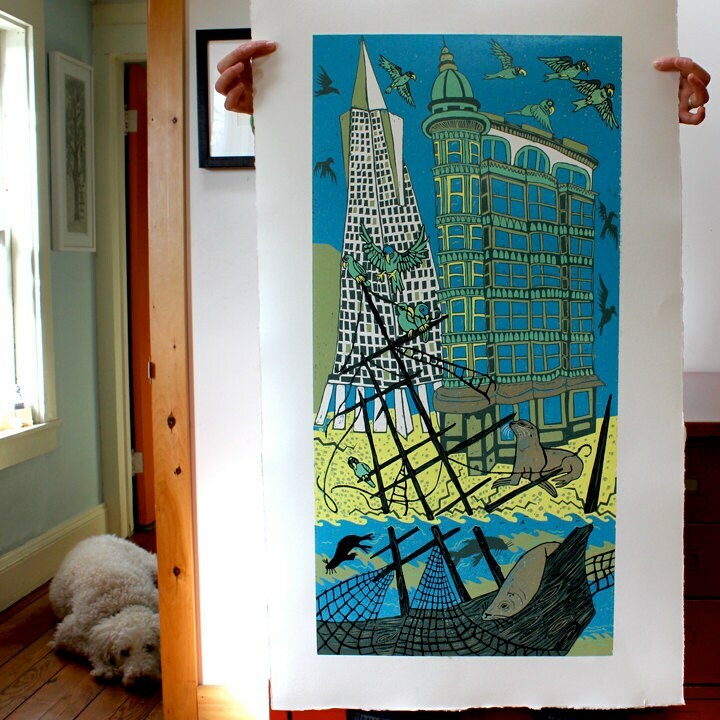 Payment plan option for, "San Fran Shipwrecks"
This large skinny woodcut is titled, "San Fran Shipwrecks." As many as 600 ships were abandoned in the harbor during the gold rush era. The owners thought there was more value in California's shiny veins than in their vessels and left their boats to explore the state. When the current financial district was built up, the sunken ships made a good base for the tall buildings and condos that were constructed. But, during new excavation projects, often an archaeologist is called in to evaluate the scene because interesting historical vessels are regularly found. The image for the boat that I used is a whaling ship named, "Lydia." She was discovered in 1980. 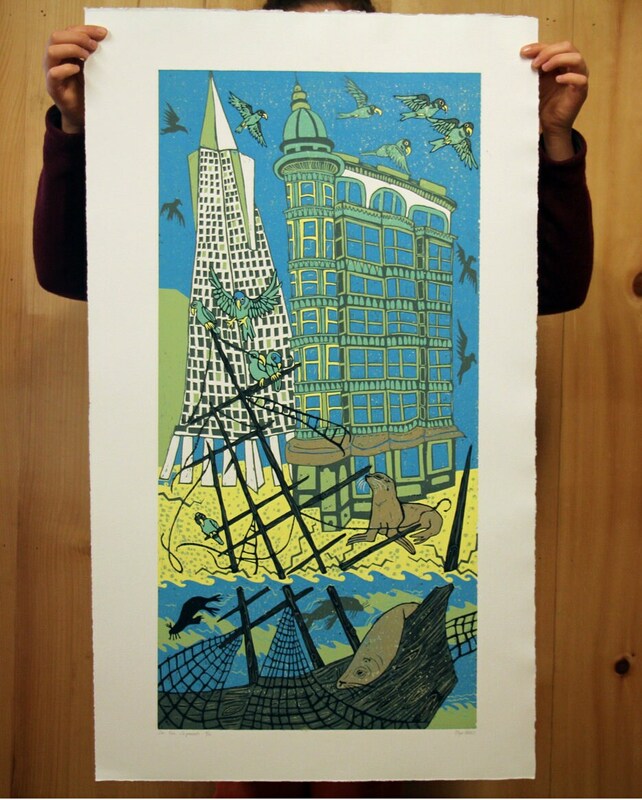 It felt good to put a buried whaling ship in the piece.